Zoom's 6.25" Trick Worm is absolutely deadly on pre-spawn bass in dense vegetation with it's high-floating design. 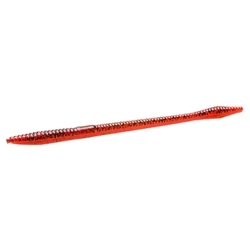 This versatile worm creates amazing action when slowly twitched in the shallows. *Denotes Discontinued Colors. While Supplies Lasts!